Choosing Sailun’s Ice Blazer WST1 tyres are a great choice for all your winter needs. These options provide unbeatable levels of grip, stability and responsiveness in the trickier conditions associated with this time of year, including snowy, icy and wet roads as well as dry surfaces.You’ll always be in control and this confidence helps you feel safer and enjoy your driving more on every journey. 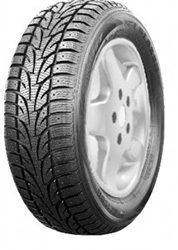 Don’t miss out on Ice Blazer WST1 tyres from Sailun.